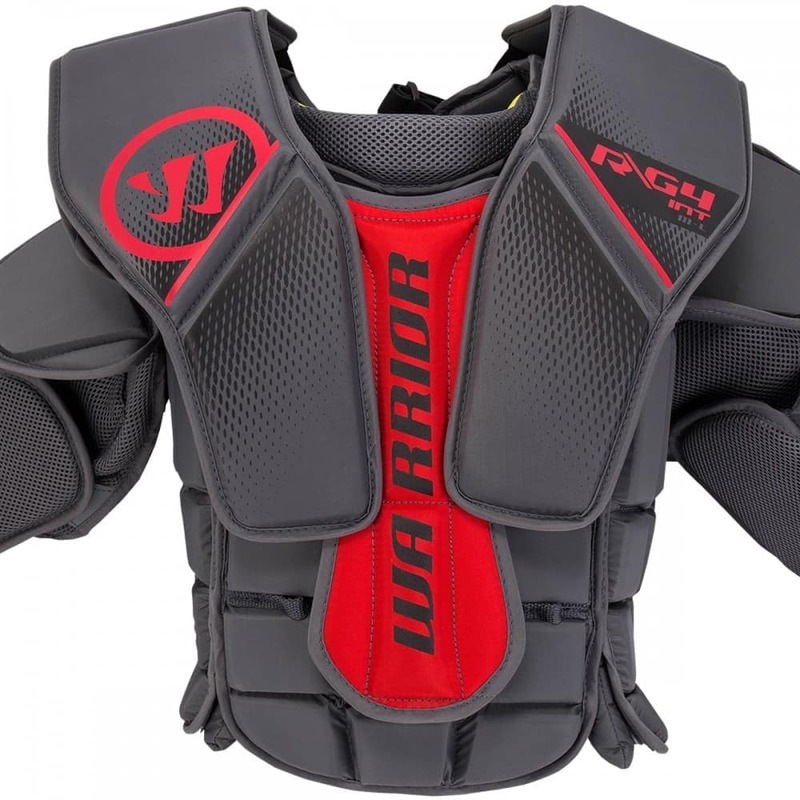 Brand new for 2018, Warrior Sports has brought out the newest model in their successful chest protector line, the Ritual G4. The G4 Intermediate features specific materials and updated designs to provide more protection without sacrificing mobility. Starting with the visual look, the G4 Intermediate has a new red color to showcase some new changes. 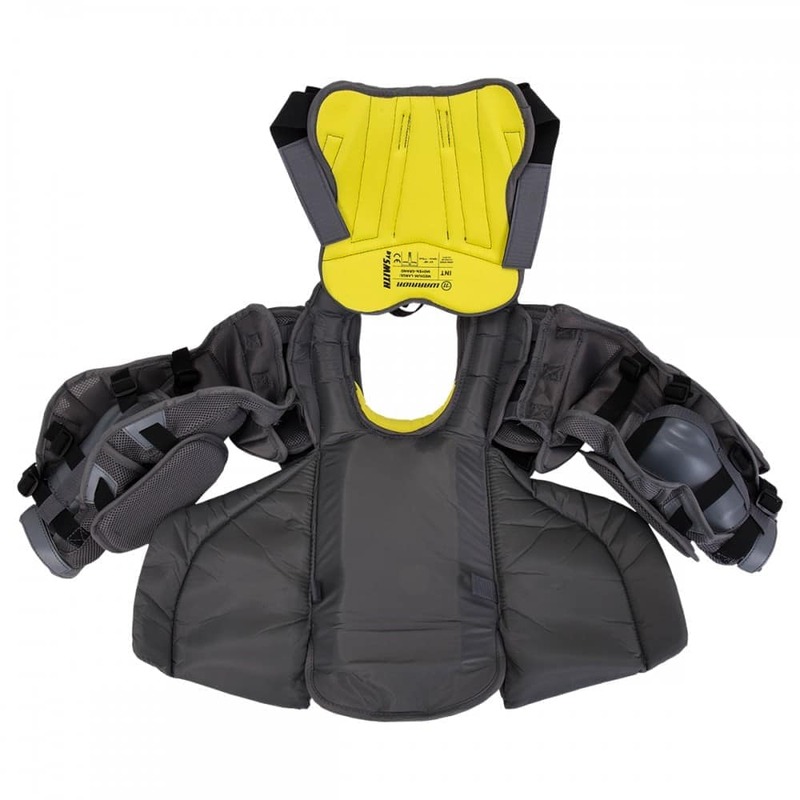 First, you will notice a reinforced sternum protector which is designed to give more protection to the breast plate and heart area. This design still has strategic cuts to give flexibility when flexing forward. Moving down to the stomach, the G4 Intermediate has an improved belly pad that offers more protection with higher density materials. 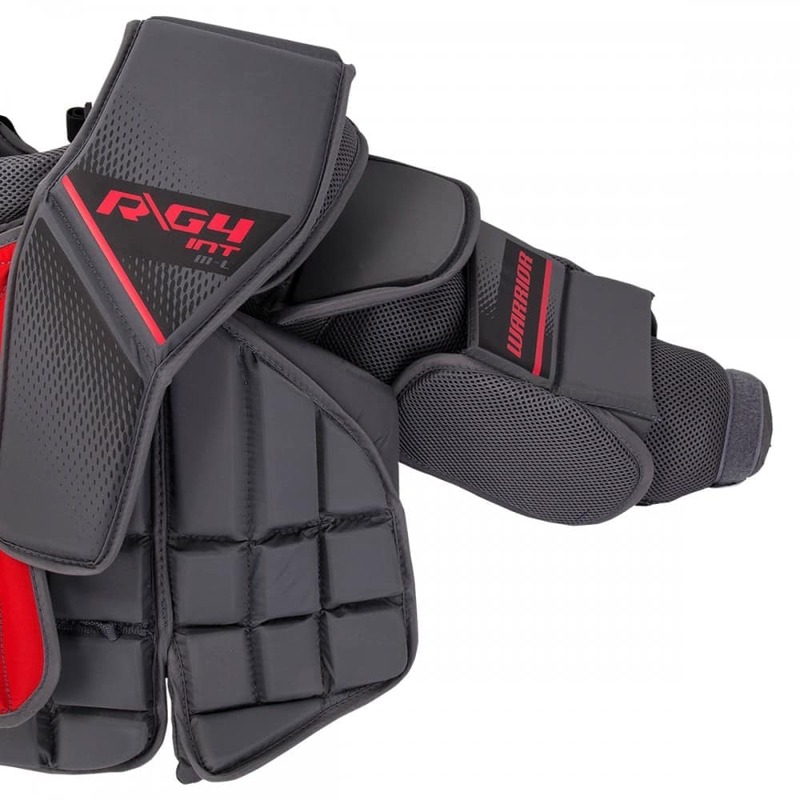 These materials will help offer more protection when catching pucks and being square to the shooter. 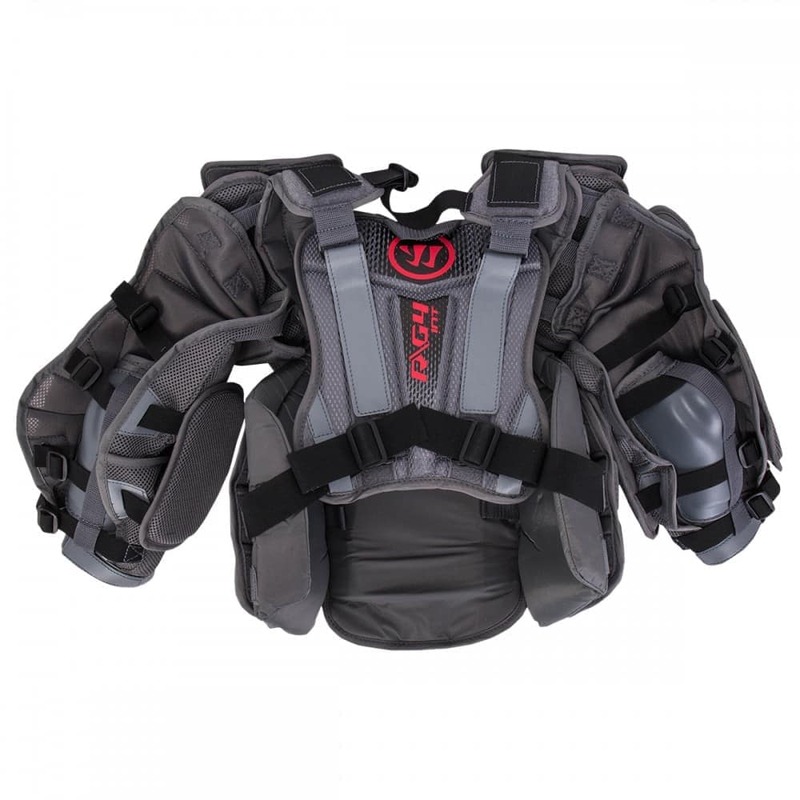 There are large elastic straps that run from the backplate to the sides that replace elastic straps with plastic buckles. This elastic strap setup is closed off with a Velcro closure which can be adjusted at any angle to give the goalie a true dialed in feel. New on the G4, there is an adjustable shoulder and arm design. 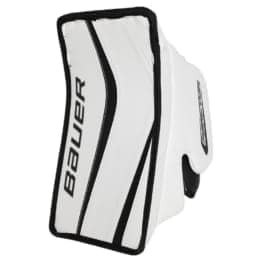 This lace in feature allows for goaltenders to shorten or lengthen the arms to find their exact fit. 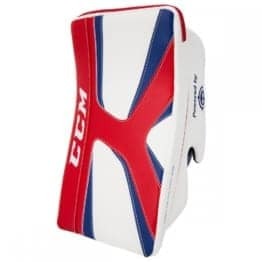 Across the back, the G4 Intermediate has 5 adjustments for goaltenders who would like to move the shoulder floaters either way, move the neck in either direction or be able to tighten or loosen the back plate. 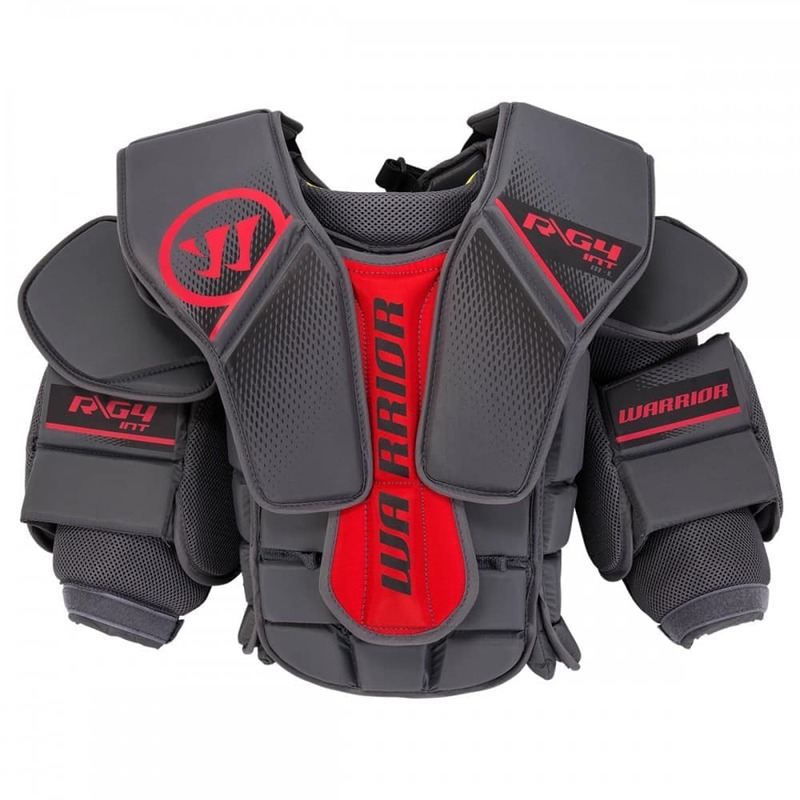 With this adjustment style on the G4 Intermediate, it proves to be one of the most universal chest protectors which fit nearly every goaltenders shape. 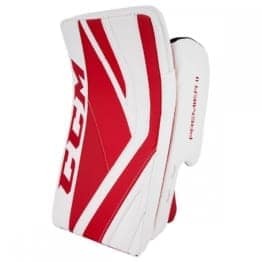 Moving in to the arms, the G4 Intermediate will feature traditional designs throughout the arms for goaltenders that would prefer a simpler design. The front of the arms are made of standard HD and LD foams to help give a soft feel on the arm and still provide enough coverage. On the back of the arm, there are 4 elastic straps which can be adjusted to help give the best fit on the body. 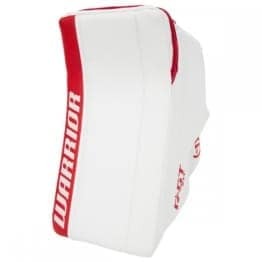 If you are a goalie who is looking for unmatched mobility in the body paired with incredibly mobile and protective arms, look no further than the Warrior Ritual G4 Warrior Ritual G4 Intermediate Goalie Chest & Arm Protector.